Reading the new translations of Walter Benjamin's radio broadcasts, made between 1929 and 1932, you are aware of how quickly the world in which they went out would disappear. The final set of programmes about the catastrophes of history now seems to point towards the disaster that would shortly engulf Germany and eventually Benjamin himself. The broadcaster was, in Benjamin's imagination, a guest in people's homes but, as Peter Conrad wrote in his review of Radio Benjamin, 'when the Nazis took control of Germany’s airwaves, such polite protocols were suspended. A welcome guest no longer dispensed sage advice or told cautionary stories; instead, one man harangued a crowd, shouting tirades at top volume.' How many Berlin Youth Hour listeners, you wonder, would grow up to fight in the Wehrmacht ten years later? The programme I want to highight here, 'Fontane's Wanderings through the Mark Brandenburg', begins with the idea that the landscape surrounding the city was 'discovered by the youth of Berlin'. This Wandervogel movement would soon be outlawed, along with other groups distinct from the Hitler Youth. However, as its title indicates, the main subject of Benjamin's broadcast was not these young walkers, or the wider groups of Bündische Jugend. What he proceded to talk about was a remarkable topographical project, conceived one day in 1858 on Loch Levan in Scotland, by Theodor Fontane. 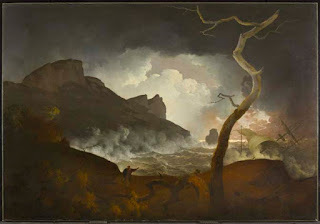 In that moment Fontane realised that the landscape made famous by Walter Scott was really no more beautiful than the sandy terrain of his native Mark Brandenburg. And so he began his wanderings, selecting material to write about like 'a walker picking individual ears of grain'. In 1860 he wrote to his friend Theodor Storm that the result might run to twenty volumes; in the event it was published in five, between 1862 and 1889. The result was, as Benjamin told his listeners, 'far more than tedious descriptions of landscapes and castles, these books are full of stories, anecdotes, old documents, and portraits of fascinating people.' It is not hard to imagine this appealing to Benjamin. 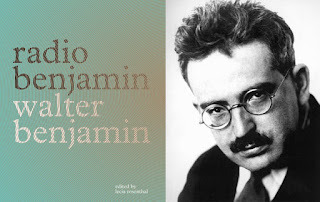 It sounds as if it would be enjoyed by English readers too if a modern selection were published, perhaps by an editor/translator looking, like Benjamin, to illuminate our understanding of culture and social change. Although Fontane's novels have appeared in English (Before The Storm is one of my father's favourite books), I've not come across a translation of the Wanderings through the Mark Brandenburg, either in full or abridged form. Benjamin concluded this broadcast with his own description of the broad, expansive landscape of the Mark - quoted below again in the translation by Lecia Rosenthal - and some verse by Fontane that hardly needs to be translated. 'Its sandy, marly soil does not lend itself to strong shapes; however, one is occasionally surprised to come across a steep precipice, or a gorge ripped into the earth. But the plain of the Mark, with its birch forests and cast acres of fields stretching to the horizon like a broad sea of gray and green, is the landscape's most beautiful feature. It is so shy, subtle, and unobtrusive that sometimes, at sundown, on the water amid pillars of pine, you think you're in Japan, and other times, in the limestone hills of Rüdersdorf, you imagine yourself in the desert, until the names of the villages here call you back to reality. Fontane strung some of these names together in a few light and airy lines, which we close with today. Footnote: Michael Rosen's excellent programme on the Benjamin broadcasts can be heard on the BBC archive. 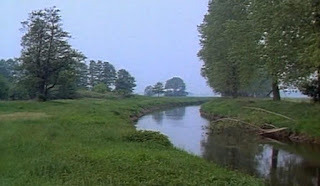 Although he doesn't explore the countryside of the Mark Brandenburg, he visits the Benjamin archive in Berlin and locations described in the original programmes . Ian Nairn once described the view from 'decent quiet Duquesne Heights onto the roaring heart of Pittsburgh' as the epitome of terribilità. If he were there today, half a century later, he could look across to the city's cultural district, where the Wood Street Galleries are hosting an exhibition of British landscape art. 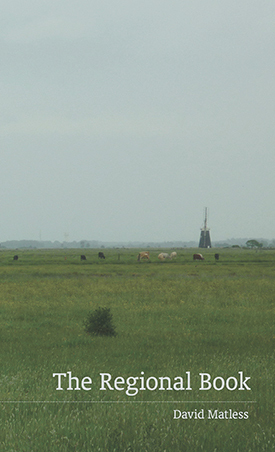 Pastoral Noir is curated by Justin Hopper who grew up in the city but now lives over here, in Suffolk. He has been responsible for some interesting recent experiments in the fusion of image, sound and text on themes of place and memory. In 2014 he recorded Ley Line, 'a series of poems based on walks in Pittsburgh along a fabricated ley line connecting the central church with a handmade shrine to the Virgin Mary overlooking the river - passing, on the way, the house in which Andy Warhol was built and the one in which Keith Haring lived, as well as many local and personal landmarks.' These pieces were 'bookended by two poems based on Anglo-American folk songs found in both Sussex and Appalachia, read by myself and Shirley Collins' and there was music too by The Belbury Poly and Host Skull. Much speculation has gone into Shakespeare's setting for this part of the play. 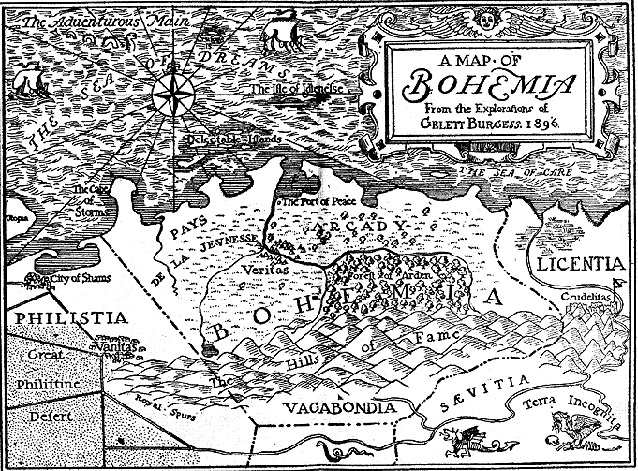 Some historians have thought he cannot have meant Bohemia and was referring to somewhere else - Apulia, perhaps, or Bithynia. Others have pointed to the play's source (Robert Green's pastoral Pandosto) which also refers to Bohemia's coast, or have explained it in terms of the political advantage in siting the action in the country of an ally of James I. But pastoral has never been at all realistic and Shakespeare probably felt as free to imagine 'Bohemia' as his contemporaries would Arcadia. This is not the only point in the play where reality and fantasy fuse: the actual Renaissance artist Giulio Romano is referred to as sculptor of the statue of Hermione that miraculously comes to life (Giulio was a painter, not a sculptor). 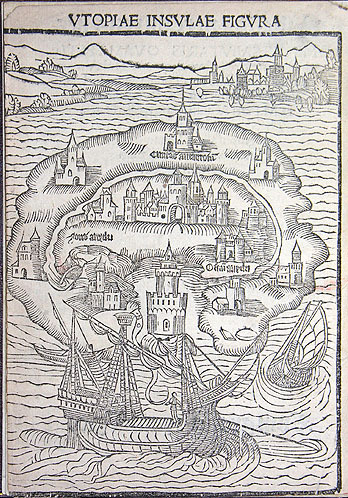 Shakespeare's Bohemia reminds me of another mythical place that I wrote about here before, Kafka's Amerika. 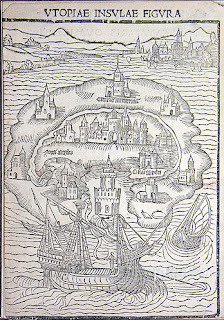 Kafka created a version of that distant continent that was a kind of 'exploded Bohemia'; Shakespeare's coast of Bohemia is similarly a country drawn out of dreams and desires (Kafka on the shore, one might say). This quotation actually comes from a book about a Japanese ch'in player, Uragami Gyokudō (1745-1820). In Tall Mountains and Flowing Waters: The Arts of Uragami Gyokudō, Stephen Addiss covers not just his music, but also Gyokudō's poetry, calligraphy and landscape painting. It was music that came first though, as Minagawa Kien made clear in the preface to a collection of Gyokudō's poems, suggesting that this ability on the ch'in enabled Gyokudō to evoke the 'craggy and vast'. In this he resembled the ancient Chinese ch'in player Po Ya, who could convey in his music the qualities of 'Tall Mountains' and 'Flowing Waters'. Kien was referring here to a story in the Taoist text Lieh-tzu that became proverbial as an example of the understanding between friends. Po Ya's friend Chung Tzu-ch'i was so in tune with his mind and music that he always knew what Po Ya was thinking when he played. When Chung Tzu-ch'i died, Po Ya broke the strings of his ch'in and never played again. Gyokudō epitomised the bunjin ideal: an amateur artist who painted 'without knowledge of the six laws', who loved to play the ch'in but did not 'know the rules', who read for pleasure and detested scholarship. Nevertheless it is easy to imagine that as the years went by his daily work as an official would have been increasingly tiresome. In 1794 political circumstances prompted him to resign and devote himself entirely to the arts. He seems to have had no regrets. In 'Shutting My Gate, I Play the Ch'in' he writes of having left his concerns behind. In another poem he finds that 'fifty years have passed / like a whistle in the wind,' and now 'among the short-tailed deer, / I strum my ch'in.' Elsewhere he describes himself like a figure in a painting: an old man playing his instrument as night deepens, illuminated by a moon above Dragon Mountain. Or he can be found listening to the autumn wind in the forest trees and chanting his poems to the accompaniment of a waterfall. You ask the plan of my life? inside the walls a ch'in. The Regional Book by David Matless was reviewed back in October by Ken Worpole on his New English Landscape blog. He summarises it as 'a gazetteer of 44 Norfolk places, each described in telegraphese, halfway in style between Pevsner and the poet Roy Fuller.' The book's style is indeed unusual, its highly abbreviated sentences reflecting the flatness of the landscape described, its cadences often reminding me of crossword clues. Rather than discuss the book as a whole and risk repeating what Ken says, I want here to mention just one of the entries, on Norwich Castle Museum. It's hardly a representative location but the section begins like others, with a spatial location and succinct description: ‘Ten miles from the Bure, one from the Wensum, on a Norman mound. The region on display in paint and diorama.’ A list of local subjects treated in the museum's paintings it terminates thus: ‘Studies in landscape, Langley’s scrutiny: uninventable.’ The solution to this cryptic reference can be found towards the end of R. F. Langley's wonderful journals (Helen MacDonald's desert island book). Matless is referring to an entry for August 2005, when Langley stopped and studied the Museum's paintings with the kind of long, close attention I've written about here before.